Composing Room Cylinders were the first series to be issued serial numbers (stamped directly on the bed), and thus can be accurately dated. 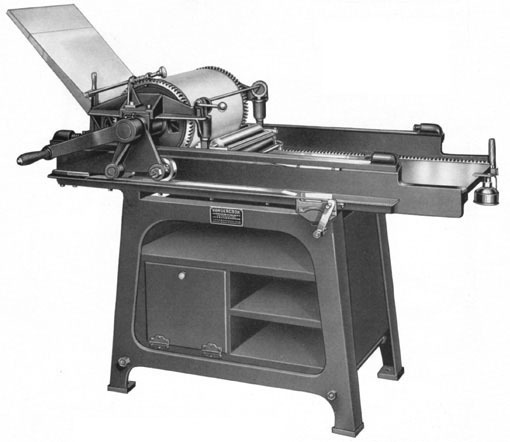 This model employs several improvements: automatic cylinder trip; carriage-mounted ink rollers; and an angled feed board with a “sheet hopper” which guides paper to automatic under-cylinder grippers. The No. 17, which can accommodate 17 × 25″ forms, is the most common example. There are about a dozen Composing Room Cylinders in the Vandercook census.